Wai is an action of Thais to show respect to others by putting the hands together like in prayer. Ram means dance in the old Thai traditional style. The fighter performs the Wai Khru by circling the ring three times before kneeling and bowing three times as a sign of respect to God and man. He also bows to Buddha (traditionally) to ask for protection for himself and his opponent and for an honourable fight. The fighter then performs the Ram Muay, whose simple movements demonstrate a fighter’s control and style. Each fighter performs the Ram Muay on each side of the ring to demonstrate his prowess to the audience. The Ram Muay is a personal ritual, ranging from the very complex to the very simple, and often contains clues about who trained the fighter and where the fighter is from. The practitioner may wear a headband called a Mongkhon and armbands known as Pra Jiad during the ceremony, and the Ram Muay may be accompanied by music. The Mongkhon is unique to Thai boxing and not worn in Cambodia or Burma. Music is an integral part of Muaythai and because of it, this art of self defence has become an extension of one of Thailand’s dramatic arts. The musical instruments orchestrated in the background of the Wai Khru rituals and in the competitions consist of the Ta Pong or Glong-Kag (Two face drum), Toe Pee Java (Javanese flute) and the Ching (cymbals). 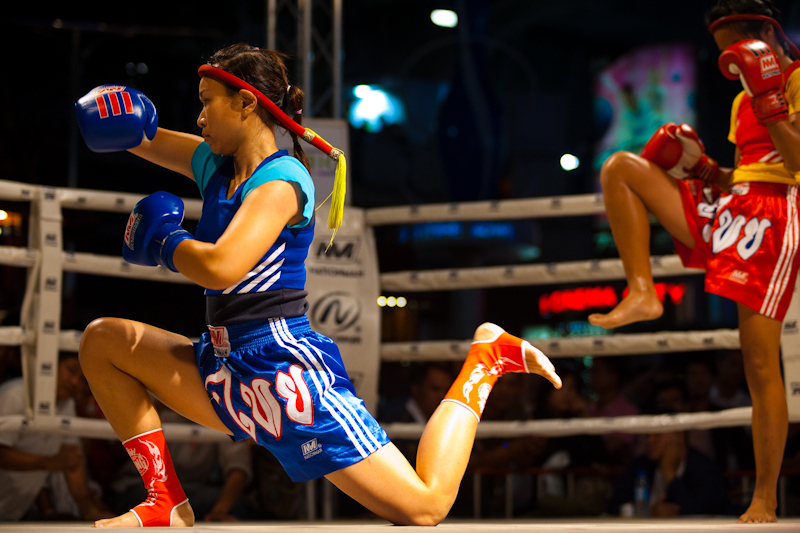 According to legendary chronicles and historical records of Thailand, Muaythai competitions were customarily organized on celebratory and festive occasions. It was also used as a means of selecting men with great fighting skills to serve in important positions in the military. The most important question today is how are we to preserve this beautiful and gracious art from disappearing or from losing its authenticity? There are many ways to answer this question, but first of all we must fully understand the importance of the Wai Khru ceremony. To train for Muaythai a fighter must have a mentor, this is the tradition of the art. 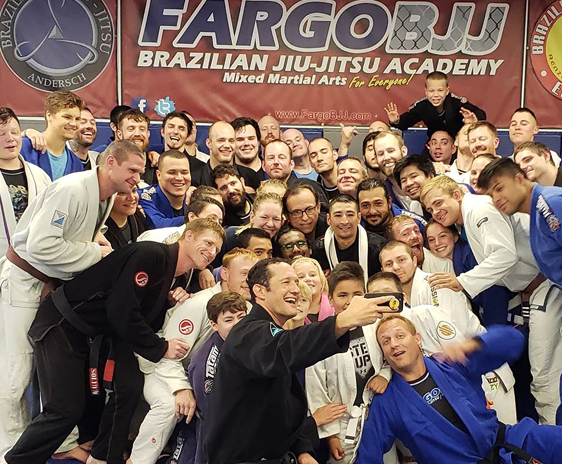 Perhaps a fighter will be directly taught by other fighters, but all in all, every fighter is considered to have a mentor, and it is customary that all fighters must respect their mentors. One of the most important virtues of the Thai people is the showing of respect and sincere humbleness towards teachers, masters, mentors and instructors. They are considered to be a close second to their true parents. Keun Khru or Yok Khru is when the instructor accepts the student and the student accepts the instructor to be the one to train him. In the past, the student must serve the instructor for a period of time before actual training begins. During this period the instructor will study the student to ensure that the student is trustworthy, honest and able. Once the instructor is satisfied with the student’s performance permission is given by the instructor to conduct the Keun Khru ceremony, in some areas it is called the Yok Khru ceremony. 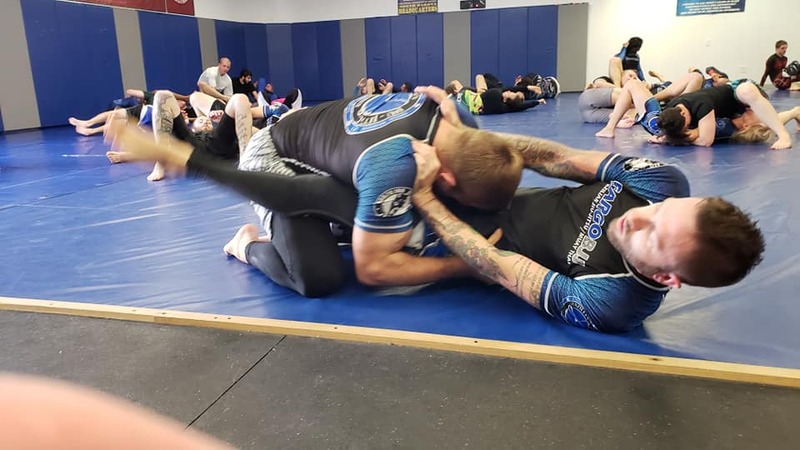 This ceremony is where both the instructor and the student accept one another and the student must abide by the rules and regulations set forth by the instructor. The Keun Khru ceremony is conducted on Thursday because in ancient times, Thursdays are considered to be an auspicious day for such occasions. The student must bring along some personal items for the ceremony. As for money, it depends on each individual instructor. The ceremony is conducted in front of a Buddha image and the student will pledge his loyalty to the instructor. Kronb Khru is a ceremony conducted for the student on the completion of his training. The student has now the ability to transfer his knowledge and skill to others and at the same time, be able to adapt and apply his skill to suit the situation, The student is ready to compete in any competition with pride. In this ceremony the student is given the Monsol according to the tradition of that training camp. Again, this ceremony is conducted on a Thursday before noon at the home of the instructor or at the temple. “Yearly Wai Khru” is a tradition that Thailand has carried forth since ancient time. We Wai Khru to respect our mentors because if it was not for them we would not have the knowledge and principles that we abide by. It is these two virtues that enable us to carry on fulfilling our tasks. In this ceremony we again pledge our respect and memories to our teachers past and present. Even though some of us have long finished our education or training we still give our teachers the greatest of respect. The day chosen for the Wai Khru is Thursday as it is believed to be “the day of the teachers”. The art of Muaythai from past to present has a tradition that every fighter must perform the Wai Khru before every competition. Wai Khru is performed as a means of paying respect to the chairperson of the competition or in the past as a way to pay homage to the King who would normally be a spectator on almost every occasion. It also symbolizes the gratefulness of the fighter towards his mentor who had trained him and as a means of concentrating himself mentally for the competition. If we further study the roots of the Thai culture we will discover that the Wai Khru is not just a way of paying respect to only our mentor but what this ritual is actually doing is paying homage to mentors before and long before him since the dawn of humanity. Hence, the Wai Khru is a way of worshipping past instructors and the way up to the holy spirits in heaven. For those who have studied or have trained in the art of Muaythai, many are quite confused and many have asked why do we have to do the Wai Khru ritual? Is it for beauty, entertainment, commemoration or exercise? If we consider the roots of all different types of art, it can be seen that religion plays a vital and influential role in its direction. Therefore, all different form of art attempts to bring man closer to God (If you do not believe in God then it is quite difficult for you to understand art, especially the art of Muaythai and the Wai Khru ritual). Hence, the Wai Khru and its music is to worship all the gods, especially the god Pra Isuan, the creator and the ruler of the universe. It is then appropriate for Muaythai Boxers to invite and accept the holy spirits into their bodies and minds. Other than the invitation of the holy spirits, the art of the Wai Khru is to prepare the boxer’s heart and soul to another level – the level of divine and supernatural conditions. Physical body and time must be forgotten so as the Muaythai Boxers can take on this divine force. The problem that often occurs is whether the boxer can reach this spiritual being or not. It can be achieved, but only if the boxer concentrates during the Wai Khru with true sincerity and respect. But what will happen if we do not perform the Wai Khru? One of two things could occur, firstly the art of Muaythai would not exist and secondly the boxers would not fully understand the art of Muaythai . Therefore the Wai Khru ceremony is very important. We may not be able to see this auspicious force but the boxer himself can feel the existence of his mentor by his side. The god, Pra l-Suan presented humans with the gift of music and dancing so that people can enjoy true happiness. True happiness without greed and selfishness will induce us to forget our own body and time, Therefore, during the Wai Khru the boxers should let their soul leave the body and let the holy spirit take over. Boxers who practice the kah-tah (religions verse) during the Wai Khru believe that these verses will give them supernatural power. In ancient times, Thai warriors believed in amulets, charms and the occult to possess them in battle as a means of increasing morale. To use these supernatural powers, concentration is the main factor in controlling the fighter’s will. The majority of the ancient warriors would put their faith in the god of wars, such as Hua Jai Hanuman, Hua Jai Kun Pan, Hua Jai Kong-Kah Derd, Hua Jai Oran Pet, Hua Jai Pra-Lai Penk and many others, depending on what strength and faith they have in each of the different gods. It is used for meditation training as you must memorize the verse correctly and repeat the verse over and over again as quickly as possible which requires much concentration. It is a method of measuring your faith and will power. 4. Ek-atarom (loyalty) – think only of the Hanuman god. Too-li-ya-yarn (Transcendent insight) – start to think that he is the Hanuman god. 2. Sook (Content) – content with the Hanuman god. 5. Ek-atarom (loyalty) – Has the same strength and power of the Hanuman god. Ancient Thai warriors had always held fast to these principles, which in turn brought them renown for their bravery throughout the peninsula. It is an example that we the younger generation should follow and help preserve this Thai legacy. In Muaythai competitions, the art of the Wai Khru ritual a basic one. It is conducted to pay respect to the instructors, the opponent and the spectators. In reality the effectiveness of the ceremony is to demonstrate the gentleness and graciousness in the controlling of the body and the mind. In Buddhism, the true quality of being gentle and gracious hides the true power of authority. And if we can use this power together with the strength of our body and the wisdom of our mind, then this is the origin of all the magical power. Boxers should ‘Wai Khru’ in the way it has been done by our ancestors in the past. It is a way to help preserve the art of Muaythai from disappearing or from losing its authenticity. The first thing a boxer learns in Muaythai is the Wai Khru. The Wai Khru is not designed to insult or show off to the opponent. It is a ritual in memory and in respect of the mentor who has given the boxer his knowledge and skill. The ritual of ‘Bowing’ in the Academy. 5 TIPS ON HOW TO STAY ON TRACK WITH YOUR TRAINING.